Why choose Nuffield Health Plymouth Hospital for your liposuction treatment? 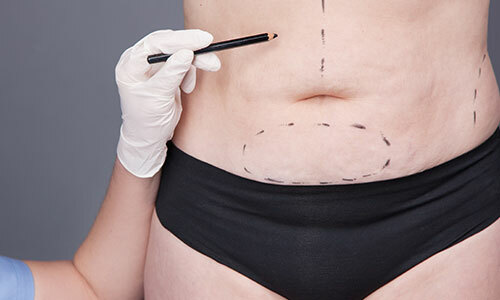 At Nuffield Health Plymouth Hospital our expert cosmetic surgeons specialise in liposuction treatment and regularly help patients lose that stubborn fat which does not respond to more conventional methods, such as dieting and exercise. You will receive the individual care you need and deserve at our Plymouth Hospital. Our consultants are fully supported by our dedicated matron-led nursing team, who are available 24-7 to provide first-class clinical care. With a treatment plan completely tailored to you, our experienced consultants will be with you every step of the way - from your initial consultation, through to your aftercare. We know that making such a personal and potentially life-changing decision isn’t easy. Undertaking any form of surgery is a big step and we insist all our patients discuss their options with one of our consultants, ensuring they are fully informed. What happens during liposuction at Nuffield Health Plymouth Hospital? The results of liposuction appear gradually and will differ for everybody before swelling and bruising subside. The overall appearance will be visible within two to three weeks and most of the remaining swelling will have gone within six to 12 weeks. However, your shape will continue to improve over the next six months to a year, as long as your weight is stable.